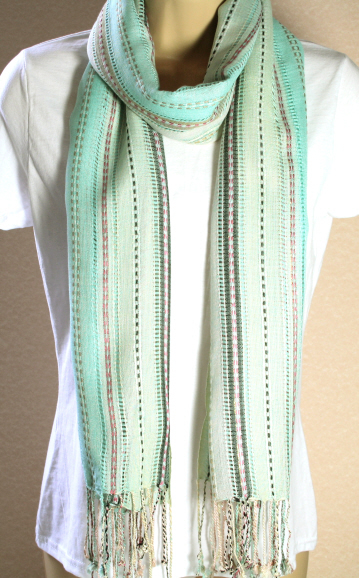 A very adaptable mint green scarf in greens and turquoises of varying shades with knotted fringe. Great as a scarf but could also be used as a light shoulder wrap or head cover for those travelling abroad. Takes up little room and a 'must have' for the suitcase! Length approx 72".